Brodie Kostecki has predicted that his first Dunlop Super2 Series race win at Sandown could be the first of many for him and Kostecki Brothers Racing. The cousin Kostecki claimed the victory in his first season racing with the brothers Kurt and Jake, having stepped into Super2 last season when he drove a Project Blueprint-specification FG Falcon at Matt Stone Racing. Kurt had claimed maiden race and round podiums in the season-opener in Adelaide, a result which prompted him to predict that all three in the Kostecki clan would be strong in 2018. The achievements vindicate the off-season recruitment of Supercheap Auto Bathurst 1000-winning engineer Dr Geoff Slater as team manager and Kurt’s engineer, while Brodie’s car is now being run by Mark Winterbottom’s 2015 championship winner, Jason Gray. “I’m so stoked for everyone at KBR,” Kostecki told Speedcafe.com. “I think this could be the first of many. We’ve been working very hard this year to try and move our cars up the pecking order and we made a lot of changes in the workshop. The Kosteckis finished last season with Brodie 15th in the series in the now ineligible Falcon, Kurt eighth, and Jake 22nd. After Race 1 at Sandown, Brodie is third in the points, Kurt dropped from fourth to fifth having been turned around on the final lap, and Jake is 14th. Brodie Kostecki says that he is now much more at ease with a Supercar, having cut his teeth initially in late model NASCAR racing in the United States. “I think definitely now, in the last three rounds, I’ve been able to jump in the car and I’m comfortable straight away, being able to attack. “I think it depends on what sort of circumstances you’re at and what sort of team and people you surround yourself with so I’m just grateful that my family has put in a lot of effort to put good cars and good people around us like Geoff and my engineer, Jason Gray, who’s been working on the car flawlessly all weekend. Kostecki’s win came in somewhat anomalous fashion given that he took the chequered flag second on the road to Garry Jacobson, who had a 15-second penalty handing over his head for escorting Brodie wide as they battled for first position earlier in the race. 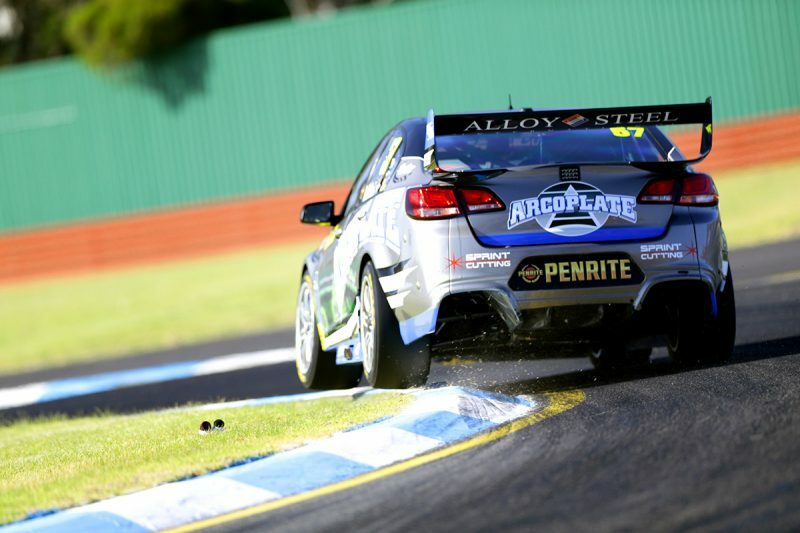 That moment allowed Chris Pither to move back in front before Kostecki had to pass and then hold off two-time series winner Paul Dumbrell to set up the triumph. Despite being one of many to suffer a setback in a race that was wild even by Super2 standards, Kostecki did not doubt that he could pull off the result. “I think anytime you start anywhere near the front row, I think if you can’t tell yourself you can win, you really shouldn’t be on the grid,” he said. Kostecki qualified second for today’s second race, which starts at 1205 local time/AEST.